Brown_Kraft_Paper_Bag_Envelopes_and_Paper is rated 4.7 out of 5 by 35. Rated 5 out of 5 by happywifehapppylife from Loved them I bought these for my fiance and she loved them. She thought i was going to purchase boring white, but i surprised her with these awesome Kraft ones! Rated 5 out of 5 by Dizzle from Exactly what I needed + super fast shipping I was a bit worried to find out that the JAM store in Manhattan was closed down, but their delivery drivers got me my order in one day. Product was exactly as listed. Would buy again. Rated 5 out of 5 by cloyd from Great reasource! Was looking for organic papers , but only needed a small quantity at a reasonable price. I found the perfect thing at Jam, plus the website was so easy to use. Thanks so much! Rated 5 out of 5 by LiYacht from Great quality, speedy shipping The brown kraft envelops are just what I was looking for! They came just about 2 days after I ordered them and I did not do express shipping. Very impressed. Also, they are great quality and really compete the look we were putting together. So perfect, will definitely order our next round invite envelops through Jam! Rated 5 out of 5 by Eley from LOOKS GREAT! We had them printed with a toner based digital envelope press and the color POPS on the brown kraft. Rated 2 out of 5 by JK_getMarried from Not true to size The envelopes not 11 1/2" as stated in the description. They are actually 11 5/8" - generally not a big deal except in the eyes of the Post Office it requires double postage. Hello! For specific inquiries, please contact our service line 1-800-8010-JAM. Thanks! do you all cut paper to size? Do these envelopes come with cards? If you want them with cards, please order from this page: http://www.jampaper.com/CardsNotecards/BrownKraftPaperBagRecycledCardsEnvelopes. Thanks! What would turnaround be if I ordered 3600 of the Brown Kraft Paper Bag 9 x 12 OE envelope be? For specific inquiries please call our service line 1-800-8010-JAM. Thank you! I want to find the estimated shipping cost to: Hawthorne, CA 90250 350 - A-2, Kraft announcement envelopes. Hi Tom. I just ran a test order for you and the shipping charges to Hawthorne would be approximately $15-$17. Please let us know if you have any more questions. Do you have clear topped display boxes that would hold a dozen envelopes with cards? 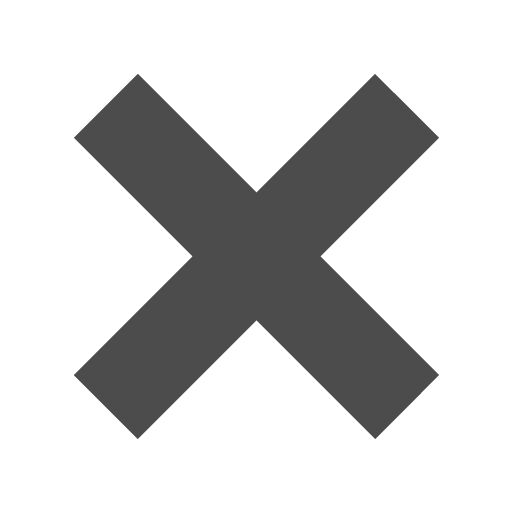 Here are our options: http://www.jampaper.com/Boxes/ClearBoxes/514x714x1ClearTopwithBrownBottom http://www.jampaper.com/Boxes/ClearBoxes/612x712x58PinkBoxwithClearTop Hope this helps! Our A7 envelopes (5.25 x 7.25&quot;) are ideal for 5 x 7&quot; cards. You always want a little extra room in the envelopes so you can fit its contents easily. RSVP envelopes are also called A1 or 4bar envelopes, and you can find them here: http://www.jampaper.com/Envelopes-BySize/4BarA1Envelopes-3625x5125. hi, i am looking for a kraft envelope to fit a 2x3 card. do you have those? There’s a reason these kraft envelopes are so popular. Customers use them for everything from invitations, to save the dates, to thank you cards, and more. If you’re looking for a neutral envelope, these envelopes are just what you need. Great for business or casual use! They complement any color theme, and also go great with burlap and twine accents for inspired invitations that your guests will love. Plenty of our products match naturally with the Brown color. They're easy to write on, so addressing and mailing these envelopes is no issue! Kraft envelopes are made with quality classic kraft paper that’s 100% recycled with post consumer waste. So you can have an invitation that’s pretty as well as eco-friendly. 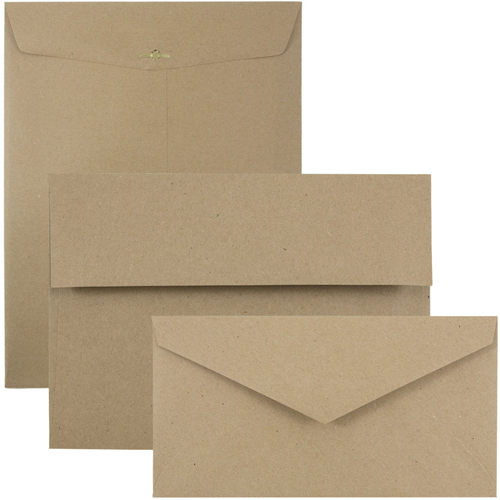 Kraft paper bag envelopes are authentic in style. The earthy and natural color is fitting for rustic and vintage theme events. Available in a HUGE assortment of sizes to fit any piece of mail. Matching 8 ½ x 11 20lb paper, 8 ½ x 14 28lb legal paper, 8 ½ x 11 60lv cardstock, & 8 ½ x 14 60lb legal cardstock is available. So are 60lb, 4bar, A2, A6, & A7 foldover cards.